Cover art by Rod Reis. For the most part, Marvel’s new Star Wars comics have mostly shied away from exploring the era of the prequels—just two of the company’s Star Wars series have touched on the time period. That’s about to change with a new miniseries that will explore Maul’s past before the events of The Phantom Menace. Written by Cullen Bunn and with art by Luke Ross, Darth Maul, revealed by USA Today this morning, will follow the young sith acolyte skulking in the shadows of the galactic underworld. Denied the chance to strike at the Jedi Order by his master, Maul goes off on a trek to ease his rage—only to find the opportunity to test himself against a Jedi that he could potentially corrupt to the dark side. The series, a five-part story, will apparently attempt to reconcile both the silent brute of a character seen in The Phantom Menace and the cunning trickster Maul evolved into in his appearances during Clone Wars and Rebels. 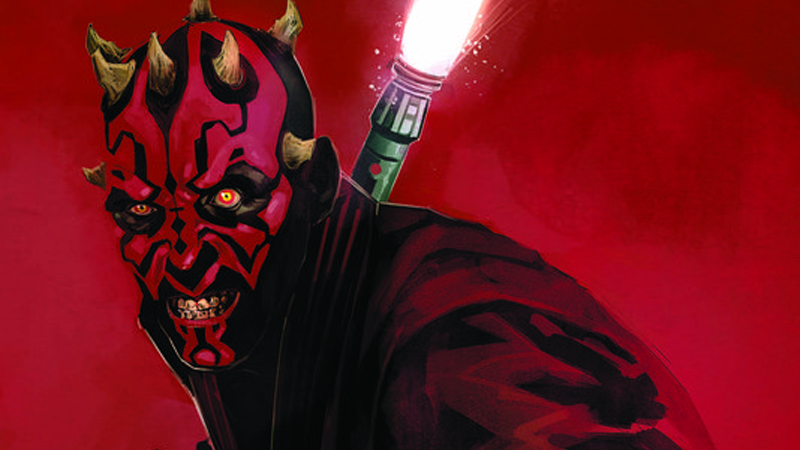 The time before the events of Phantom Menace is still relatively unexplored within Disney’s Star Wars canon, so hopefully Maul will deliver some interesting tidbits about that time period—while giving us some Sith-y goodness to fill the Darth Vader-shaped hole in our hearts. Darth Maul is set to begin in February 2017.